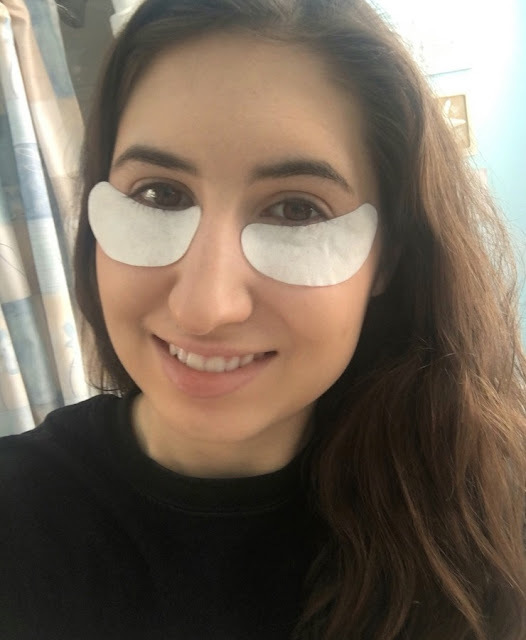 Earlier this month I was contacted and asked if I wanted to review a type of eye mask that I have never tried before, an overnight mask designed to target dark circles. My undereye circles were looking a bit rough so I was happy to give these a try! 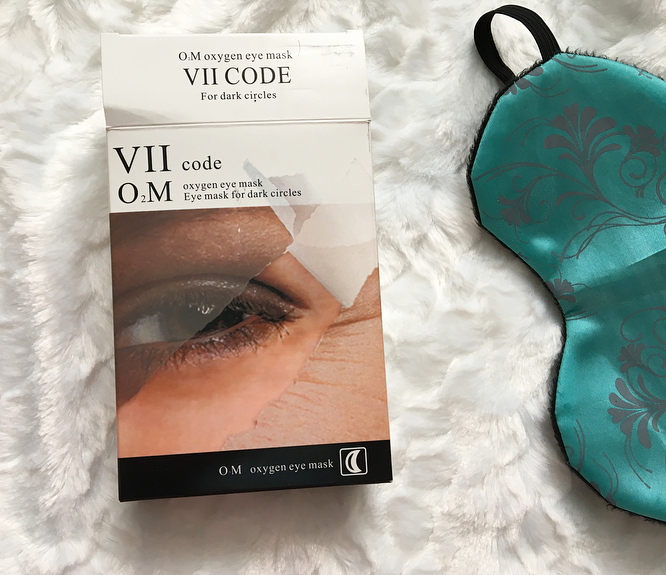 The VIIcode oxygen eye masks* come in a box of six for $65, or you can get three boxes for $165. Three boxes is considered a course of treatment although I think one box is suitable to see if this works for you. It is designed to be used two to three times a week, so one box will last you three weeks at most if used as recommended. This seems pricey to me, but I don't struggle with incredibly dark circles or wrinkles (yet) and I know people are willing to spend a lot for a product that works for darkness and anti-aging. I am down to my last mask which I wanted to save for photographs, so I've definitely gotten my uses out of this product! Like I said, I have never tried an overnight mask before so I was curious about how a prolonged use would improve the results compared to an eye cream, sheet mask, or other face mask. To apply this mask, you open one of the individual silver packages that contains a plastic tray with the two half-moon shaped white pads. A thin plastic sheet covers and protects the gel inside, so you peel that off and then place the pads under your eyes, gel side down. 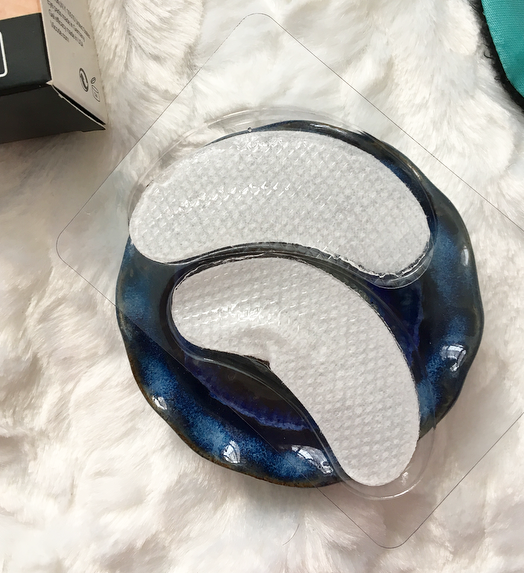 The pads are large enough to fit the entire undereye area and will fit any eye shape. These feel nice and cooling, and the gel sticks to the face pretty well so that the pads don't fall off easily. I've found that if you place these too close to the eyes, they can bother me because I don't like my eyelashes touching it, but the gel doesn't irritate my eyes or my skin! It doesn't feel uncomfortable on the eyes and once you place the pads you can adjust them if you think they are too close to your eyes. If you sleep on your back, you won't have a problem with keeping these masks on your eyes. I sleep on my side, however, so to secure the pads in place I used a sleeping mask and they stayed on all night. As you can see, the pads are quite large, stick to the eyes, and I need to get my brows done! In the morning there was no gel or stickiness to wash off. I wouldn't say my dark circles disappeared after the first use, but the area was definitely more hydrated and brightened. I'm only nineteen so I haven't noticed any anti-aging effects, but I wouldn't expect to! My concealer went on more smoothly and overall I looked less tired. I wouldn't purchase these at the moment because I don't have severe dark circles or signs of aging, but it is a nice product and I recommend it if you struggle with any of those problems. Because it's an eight-hour treatment I feel that it really targets dark circles and it has a lot of hydrating ingredients (Vitamin E, Grape Seed Oil, Aloe, White Tea Leaf Extract) and anti-aging/brightening ingredients (Tartaric Acid, Citric Acid). I would recommend trying one box, preferably on sale (currently $55 on Amazon!) so that you know that it works for you before committing to a full three-box treatment. You can purchase these on Amazon here or on the VIIcode website here! Have you ever tried an overnight mask? 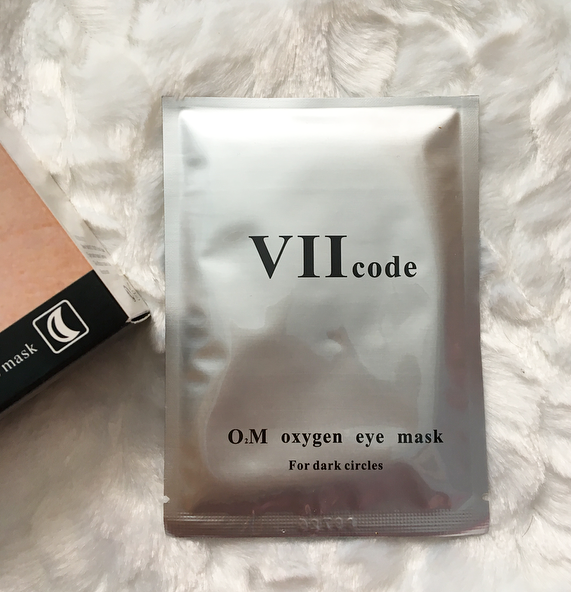 11 comments on "Review: VIIcode Oxygen Eye Mask"
These look cool, I have never tried an overnight mask, to be honest I don't think I could stand having something on my face while I try to sleep. I was really worried about that too, luckily I'm used to using a sleeping mask so it wasn't too bad! I have always wanted to know how these work!! Love the post and your blog is super cute! This sounds amazing, I haven't tried a mask like this but I have been using eye patches and they do an amazing job, not so much for dark circles but for hydrating the skin! I have tried a couple of products from this brand and they are always amazing! I havenèt used this brand before, but I have tried other brands eye masks. Sadly, I tend to get allergic reactions, but who knows. This brand may be one I cannot live with out.